Bockingford Mould Made Extra Rough 140Lbs Not. 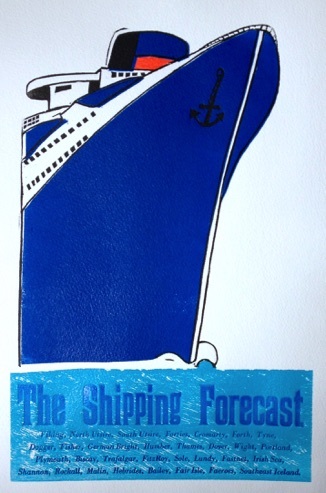 I've lost count of the number of times that I have heard the shipping forcast on Radio 4. I've often wondered about the places mentioned, so after a bit of internet research I now understand where the places are, how often the broadcats occours and lots of other interesting information. 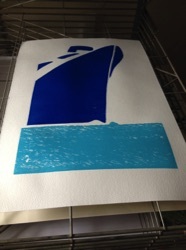 I've chosen a liner for the ship and printed letterpress the title and all the names of the various areas covered in the foreccast in the correct order of announcement. 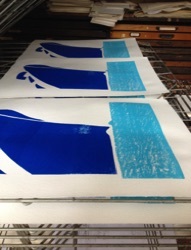 The first two lino blocks printed onto damp mould made paper.